Harness the power of your brand. With Arrive Relax Travel, together we can offer added value. At Arrive Relax we like to do things a little differently, we are not like other travel companies. We don’t work like the faceless booking engines, or the high street agents selling their parent company travel products rather than what you actually want. Our travel designers are just that, travel designers. 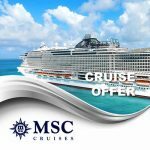 We specialise in tailor made travel & holidays, cruises, experiences and honeymoons around the world, and with over 60 years combined experience in the industry, we like to think we are rather good at it. You see with us, its personal, with us its ‘A world designed by you’. So, what’s the difference between Arrive Relax and other travel companies? Well, it’s the passion for travel and over 60 years of combined travel industry experience that sets us apart. 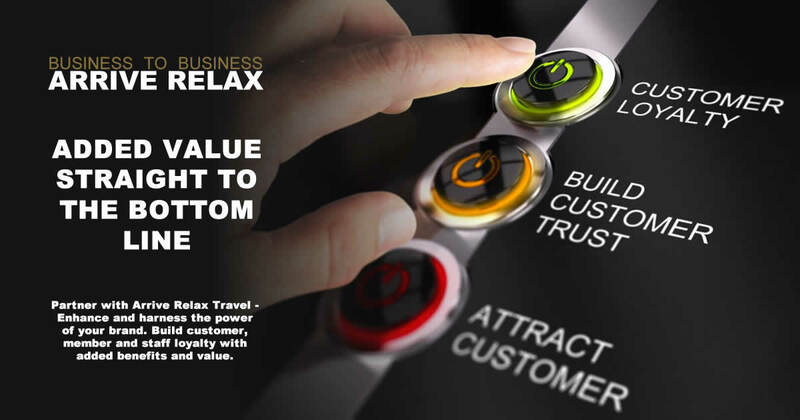 A combination that means that Arrive relax and ArriveRelax.com will go further for your customers, giving unbeatable value for money on travel services provided by us. We are very proud of our experience. Having travelled to all six inhabited continents, over 90 countries and most major (and some not so major) world cities in the process, our passion for travel is quite unmatched and clearly personal. You should know your business to business travel agent. That’s why we want you to know about Arrive Relax. Not only does Arrive Relax and ArriveRelax.com know and understand the places to travel to, we can ensure your clients and members get the most out of their holiday and truly experience the destination. 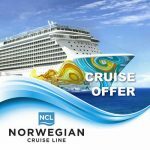 We have special deals with every major airline, special rates with every cruise company and access to rooms in tens of thousands of hotels and experiences across the world. This means when it comes to quality and price we can ensure your clients and members get a great deal whatever their budget. From a weekend break in Rome to a two-month holiday of a lifetime in Australia, from flying low cost to travelling Business or First Class we use our buying power and expertise to ensure we can provide your clients a perfect travel experience. Arrive Relax Travel is proud to be a member of the Travel Trust Association, member number Q7122. Fully UK governed, licensed and ATOL bonded. The Travel Trust Association exists in order to protect you, the customer, with 100% financial protection, guaranteed! 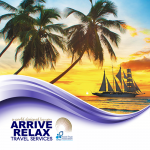 All air Holidays provided by Arrive relax Travel are also fully ATOL protected by the Civil Aviation Authority (CAA). If you would like more information on the Arrive Relax Travel Business to Business programme, please get in touch. We’d be happy to help. Commission Levels Level 1 – 5% of earnings – Generated via a dedicated telephone line or via dedicated enquiry form with qualified leads*. Sales totals £0 – £200,000 Level2 – 6% of earnings – Generated via a dedicated telephone line or via dedicated enquiry form with qualified leads*. Sales totals £201,000 and above Bonus Commission Standard – 1.5% on all sales over £400,000 not paid retrospectively. Payment terms – We pay commission the month following return date, this is in line with our licence and enables Arrive Relax Travel to ensure complete transparency to our suppliers and customers, along with our 100% financial protection guarantee. Any changes to the programme will be notified with one month’s notice. Any breaches of this programme in any form will result in immediate cancellation of any partnership and the withdrawal & cancellation of any forward commissions due. Is a Business to Business Partner allowed to promote the Arrive Relax Travel brand, by PPC (Pay Per Click) on Bing, Facebook, Google, Instagram, Twitter, Yahoo and any other social media. Is a Business to Business Partner able to directly link to the Arrive Relax Travel website from search engines? Is a Business to Business Partner able to directly link to a white label website provided by Arrive Relax Travel from search engines? Can a Business to Business Partner use the Arrive Relax Travel brand name in paid search title and description? Can a Business to Business Partner add the Arrive Relax Travel name or the name of a white label website provided by Arrive Relax Travel into their negative keyword list? For any agreed Business to Business Partner paid search activity, can a Business to Business Partner generate paid or unpaid ads to a white label website provided to them by Arrive Relax Travel from search engines? In addition. In any case, Business to Business Partners may not under any circumstances use PPC in any form of, or combined any form of the above to drive traffic to a branded or unbranded page on their own business website that ultimately drives traffic to a white label site provided by Arrive Relax Travel Limited. Does the value of any sale that commissions are paid on include VAT / sales tax? Does the value of any sale that commissions are paid on include delivery charges? Does the value of any sale that commissions are paid on include credit card fees? Does the value of any sale that commissions are paid on include additional fees or charges incurred by Arrive Relax Travel? What promotional types are Business to Business Partners allowed to use with the programme?